The Studebaker company traces its origins to February 16, 1852 when brothers Henry and Clement Studebaker opened the H&C Studebaker blacksmith shop at the corner of Jefferson and Michigan Streets in South Bend, Indiana. 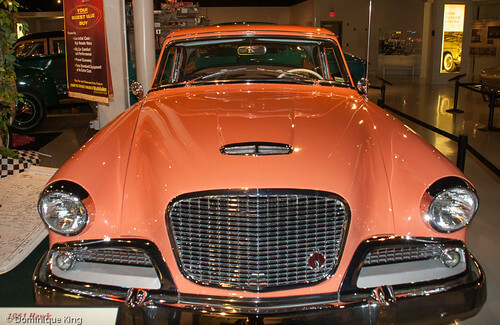 I love car museums and saw a trip to Fort Wayne, Indiana as enough of an excuse to drive further across the state to visit the National Studebaker Museum before heading back home to Michigan. Several younger siblings joined the Studebaker brothers in the fledging blacksmith and carriage business, and the Studebaker Brothers Manufacturing Company soon became the world's largest manufacturer of wagons and buggies. The company began manufacturing "horseless carriages" in 1902 with the introduction of an electric car that received a pretty good endorsement when Thomas Edison purchased the second electric vehicle produced by the company. The Studebakers produced more and more self-propelled vehicles, introducing gas models in 1904 and ceasing production of horse-drawn carriages by 1920. The company thrived during the 1920s, moving their car manufacturing back to their home base in South Bend from Detroit to replace their carriage making operation in Indiana. Studebaker struggled with the approach of the Great Depression during the 1930s. It went into receivership in 1933, regaining its solvency in 1935. The next several decades saw the company produce some of its best known and best loved vehicles, but Studebaker's fortunes faded in the wake of World War II. A merger with Packard during the mid-1950s didn't help. The company axed Packard by 1958, ceased manufacturing cars in South Bend by 1963 and closing the final Studebaker plant in Hamilton, Ontario in 1966. Studebaker enthusiasts fondly remember the 1939 Champion, 1947 Starlight Coupe, the "Bullet Nose" Studebakers of the 1950s, the 1959 subcompact Lark, the 1963 Starliner Hardtop and the sporty 1963 Avanti. Studebaker's closing gave rise to the question of what to do with the collection of vehicles and other artifacts collected by company. The collection included carriages used by Lafayette as well as Presidents Grant, Benjamin Harrison, Lincoln and McKinley. The Lincoln carriage, an 1889 purchase by Clement Studebaker, carried the President and his wife to Ford Theater on the night of his 1865 assassination. 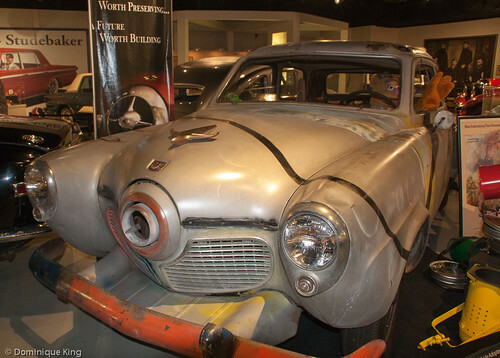 The company gave the 37-vehicle collection and Studebaker archives to the City of South Bend when the city agreed to house the collection in a place "suitable" for public display of the items. 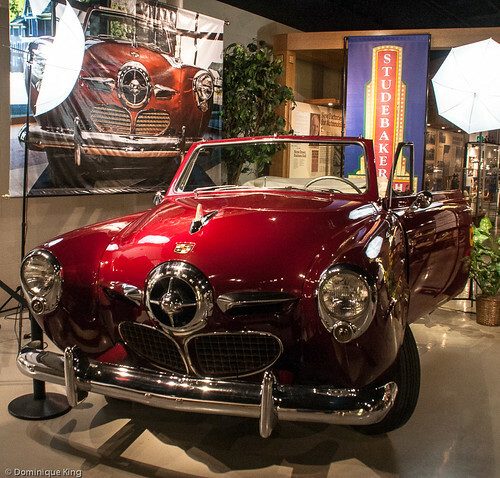 The city showed the Studebaker collection in different facilities over the years, opening the Studebaker National Museum in a three-story, 55,000-square-foot building adjacent to the Northern Indiana Center for History in 2005. The museum has over 120 vehicles and displays about 70 of them at any given time. The collection also includes an archive of over 70 tons of papers that include corporate minutes, correspondence, engineering drawings, photos, production records, newspaper and magazine articles and other items from Studebaker and Packard. The main level houses many of the vintage vehicles from the late 1800s through 1934. The Upper level has a lot of the later automobiles from the company, and the lower level has military vehicles produced by the Studebakers dating from the Civil War era through World War II as well as a display set up like a 1960s drive-in restaurant and vehicles in "open storage" (some displayed on lifts, but still visible for viewing by museum visitors). 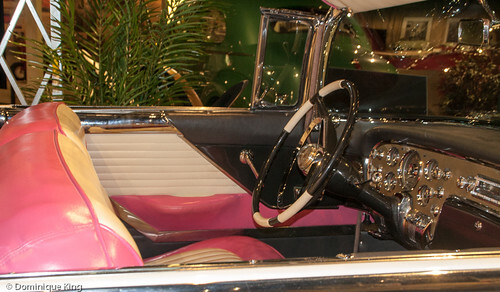 I particularly enjoyed seeing the elegant 1950s cars with their sherbet-colored paint jobs and the museum's famous "Muppet car". The Muppet car is a specially-adapted, bullet-nosed 1951 Studebaker Commander used in the 1979 film when Fozzie Bear borrowed the vehicle from his uncle for a trip he and his buddy Kermit the Frog took to Hollywood. You can see where the actual driver of the car sat and watched the road on a video monitor connected to a camera in the car's distinctive bullet-nose front end. The car is in need of repair and restoration. It is missing the colorful paint job it received during the filming. The museum estimates it needs $40,000 to put the car back into pristine display shape. 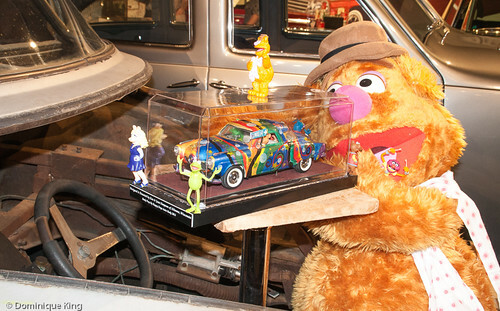 It would be fun to see Fozzie and Kermie ride again in the car with its psychedelic paint job, and I stuck a couple of bucks into the donation box near the car to help with the restoration. We also saw the Lincoln carriage, which soon heads out to the National Museum of American History at the Smithsonian in Washington D.C. as a rare loan-out for an exhibit about the 150th anniversary of Lincoln's assassination this spring. It returns to South Bend next summer in time for a special museum exhibit about Lincoln's death and his early life in Indiana. The museum opens 10 a.m. until 5 p.m. Monday through Saturday and noon until 5 p.m. on Sunday. It closes on New Years Day, Easter Sunday, Thanksgiving, Christmas Eve and Christmas Day. Admission is $8 for adults, $6.50 for seniors 60+, $5 for students ages 6 and up and free for children under 5. Connect with the museum on the Web, Facebook and Twitter. Want to learn more? 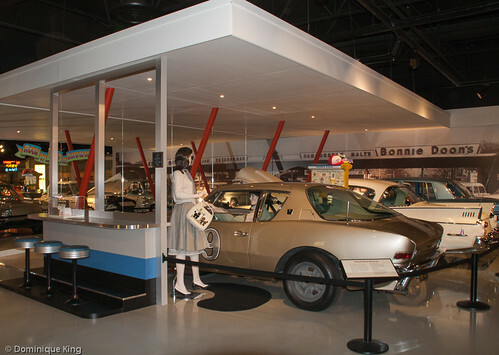 Check out The Studebaker National Museum...Over a Century on Wheels by Andrew Beckman or Studebaker 1946-1966: The Classic Postwar Years by Richard M. Langworth.